Holiday.gr - Perivolos, a trip to a myth! 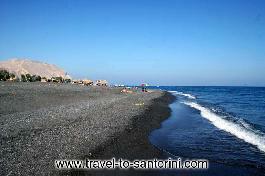 Perivolos and Perisa are the most famous beaches in Santorini.The village of Perivolos is 10km from Fira. The beaches are organized and their black sand will amaze you. It provides all sort of comforts and the chance to do water sports. Here you will come across celebrities that visit the island every year. Been to Perivolos ? Share your experiences!